The Cannabis Healing Center in Hallowell was forced to close last week, its owner says. 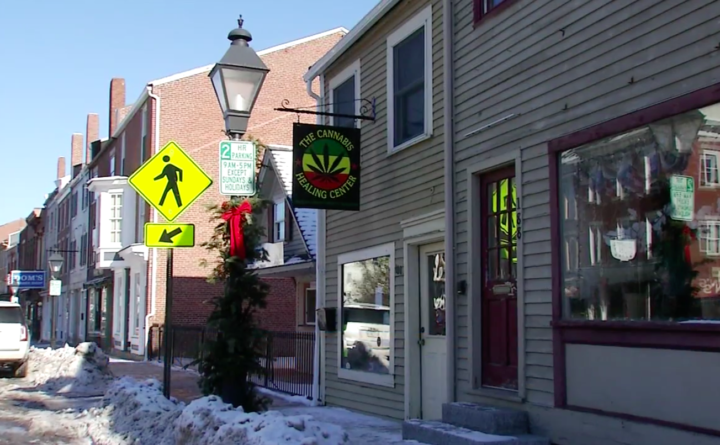 A business owner, who lost his cannabis license in Hallowell, will get a chance to speak to the City Council on Monday. The city took away the license Derek Wilson won in a lottery because he failed to disclose on his application a misdemeanor conviction for disorderly conduct from 1993. Wilson says he wasn’t intentionally hiding the charge, and forgot about it. His medical marijuana shop is now closed after being open in Hallowell for two years. Hallowell city manager says the council is continuing to review the situation and isn’t issuing any licenses in the meantime. Hallowell is one of the first municipalities to offer cannabis licenses. The city manager says they want to make sure they get the process right. Both the city and Wilson are talking to lawyers about the situation. The Hallowell City Council will be meeting at 5 p.m. to discuss the matter.